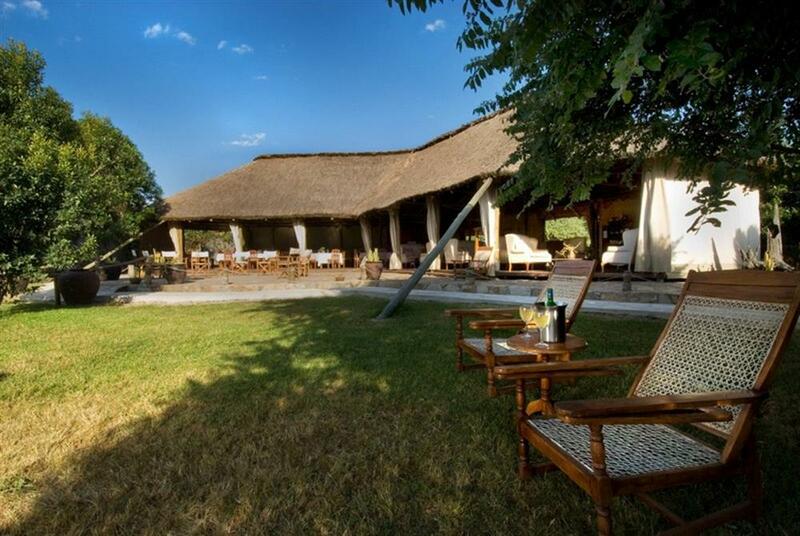 Karen Blixen Camp is set on the bank of the Mara River in a spectacular location. 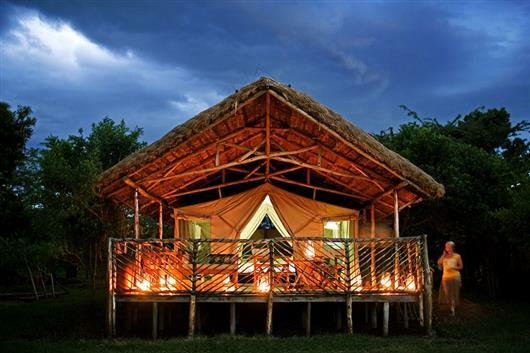 All tents are placed with undisturbed views along the Mara River giving unique and private game viewing to the Oloololo Escarpment and its rich wildlife. 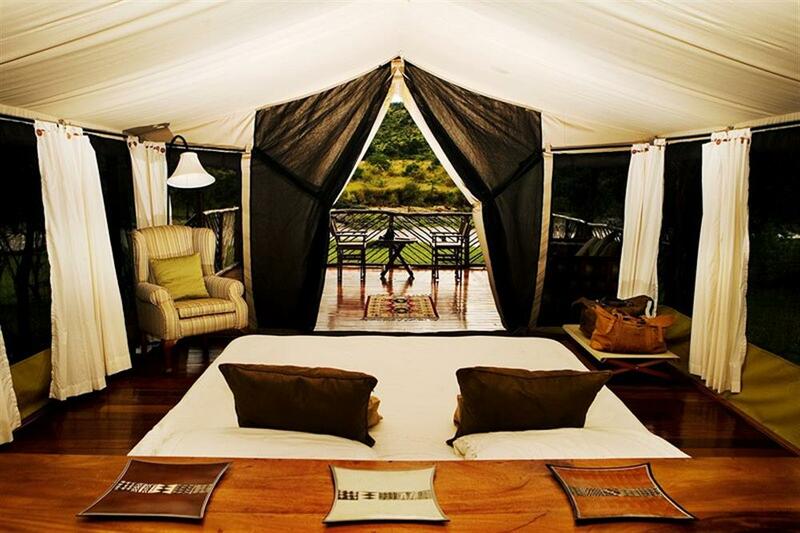 The camp encompasses 22 large luxury canvas tents each set on a wooden platform with a spacious veranda. Each tent is en suite and furnished with a large comfortable bed, Persian rugs, armchair and a mini-bar with chilled drinks. The private bathroom has a flush toilet, twin wash hand basins and a romantic outside shower with a view to the sky. The water is heated by gas burners to avoid any use of firewood thus conserving the Mara Woodlands. Electricity is provided in all tents 24 hours a day by extended solar panel system and battery storing bank. 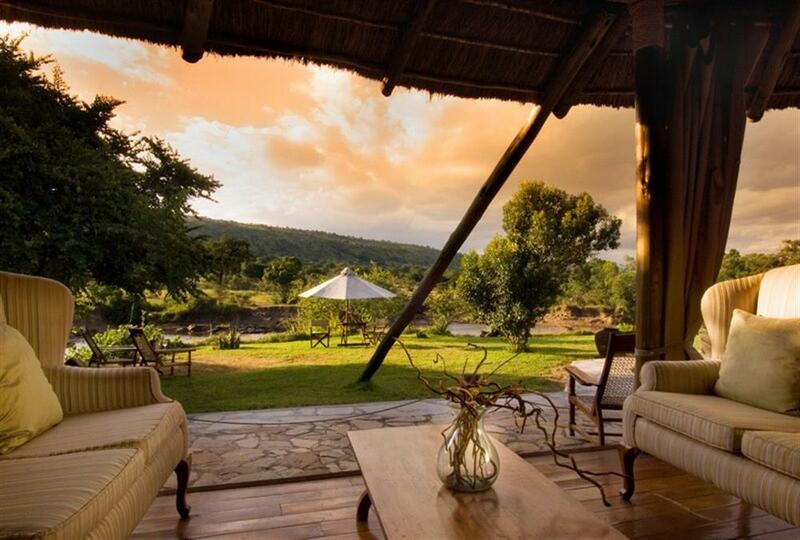 Guests of Karen Blixen Camp are able to enjoy early morning game drives, afternoon game drives, full day game drives and thrilling night game drives within the Mara North Conservancy. During the migration season (or on request) guests are offered the opportunity to go for a full-day game drive to the Masai Mara National Reserve or to the Mara Triangle to have a chance to see the thousands of wildebeests and zebras crossing the Mara River. Game drives are undertaken with a driver guide and a spotter guide. 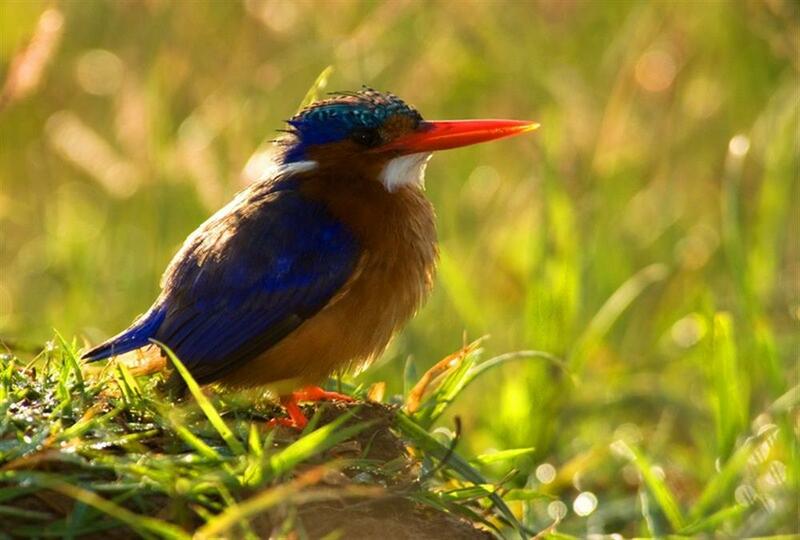 While the driver guide has his attention solely on driving and tracking interesting wildlife sightings, the spotter guide is committed to guiding and explaining to guests about wild animal behaviour and the complexity of the Mara Ecosystem. No more than six guests in each game vehicle assures the most comfortable experience with attention given to every visitor's wildlife interest. Masai Mara is world famous for its Big Cats. The Mara Predator Project invites guests to participate in its research programme to actively monitor and protect the lions of the Mara North Conservancy.